Are you often freezing during cold winter months? 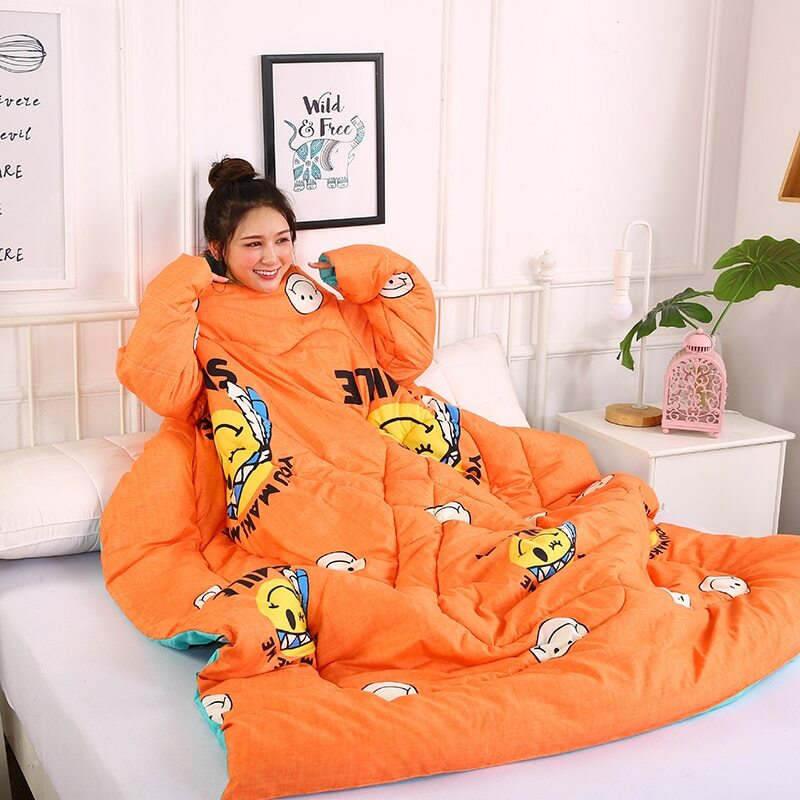 The Lazy Winter Quilt is perfect for you! It’s designed to make working and relaxing that much more comfortable. 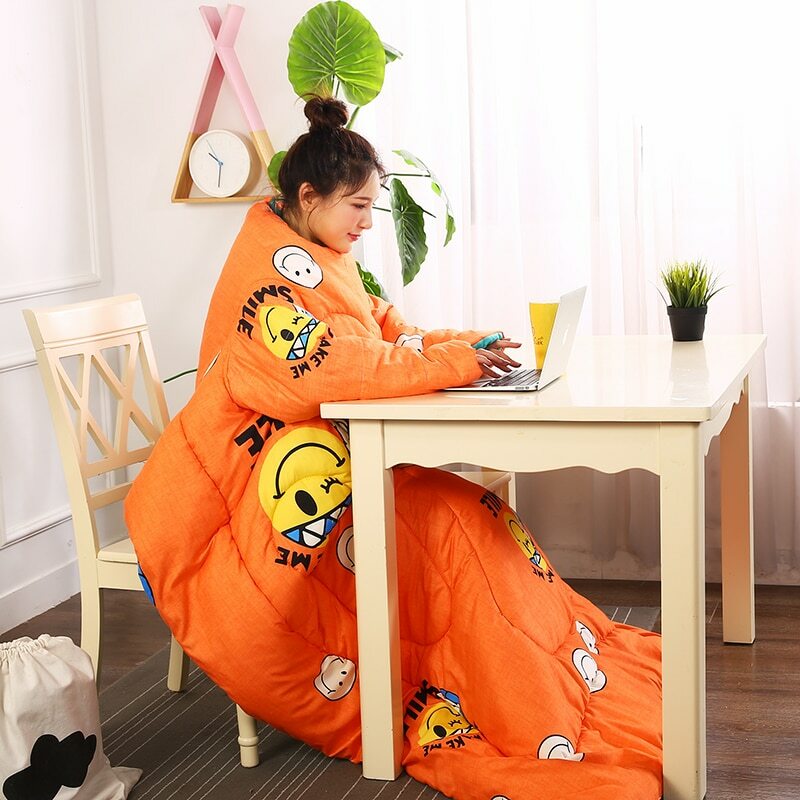 Stay warm and cozy in your blanket while still getting work done! 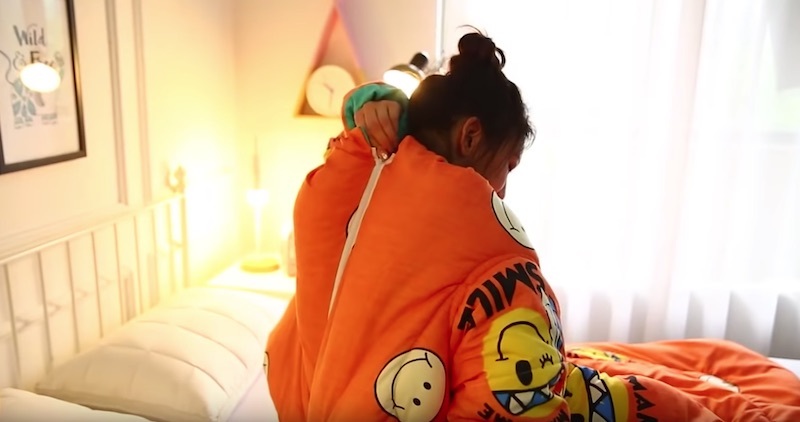 Most blankets force you to freeze the upper half of your body if you want to watch YouTube, do homework, or read in your bed—but this quilt is different. The secret is in the sleeves—made of the same material as the quilt, the sleeves will keep your arms and upper body just as warm as your lower body. 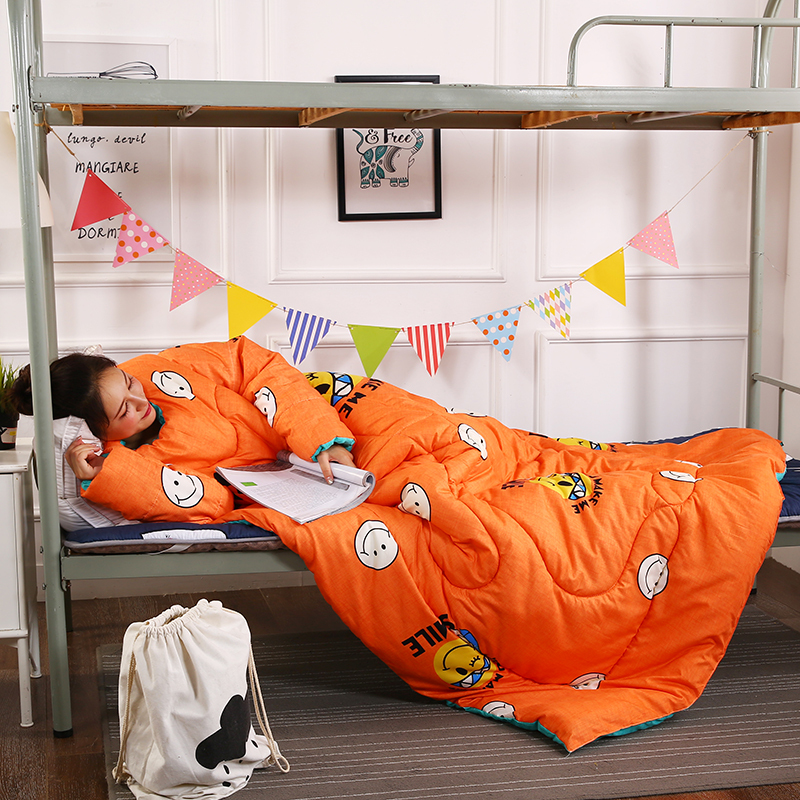 Stay cozy as you work and eat under the covers—you won’t catch a chill. The filling is evenly distributed, ensuring the quilt feels comfortable no matter how it’s laid out. 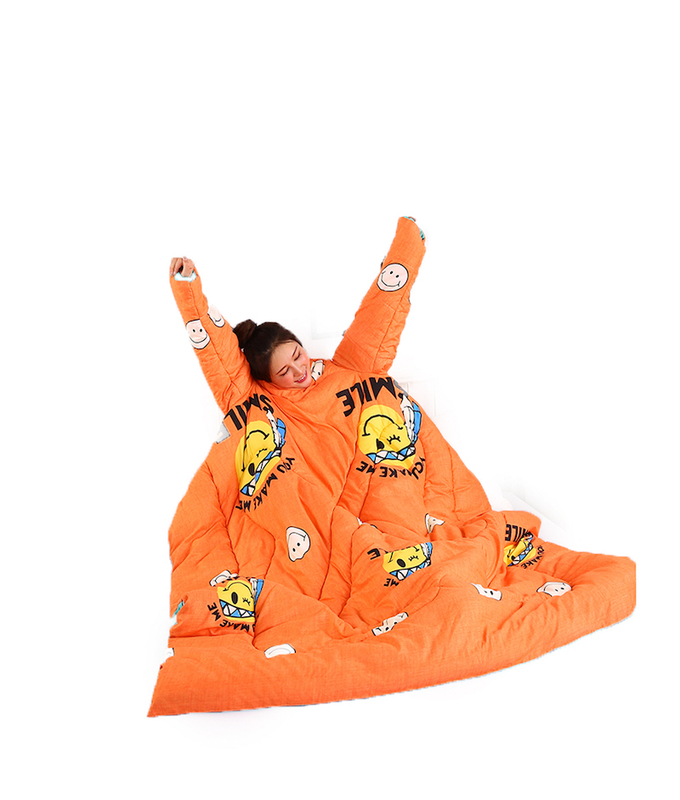 Plus, it feels comfortable against your skin, helping you stay warm during below-freezing temperatures. 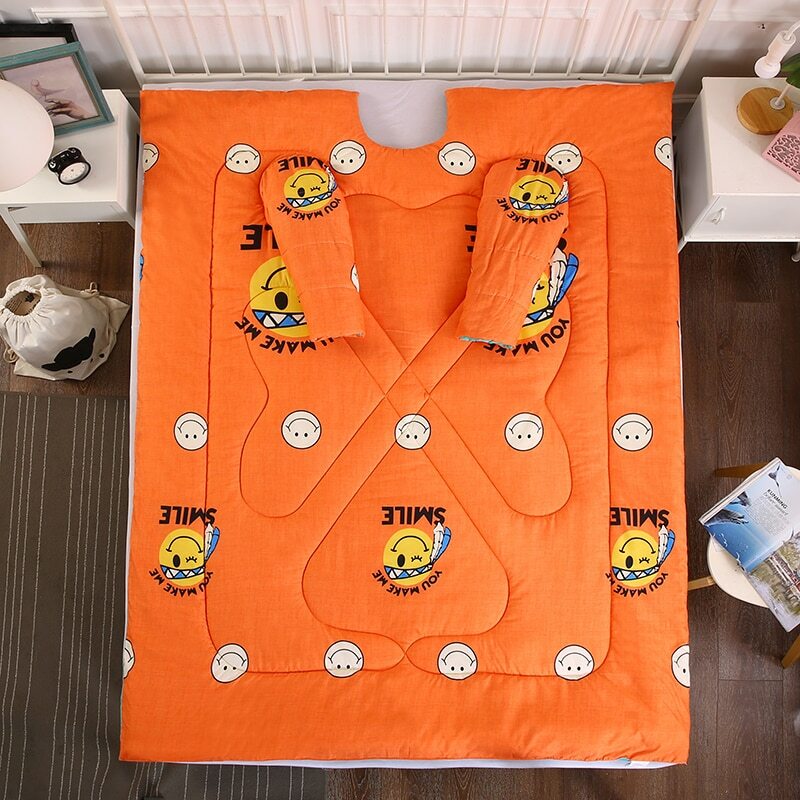 If you love staying warm, this quilt is good for you!